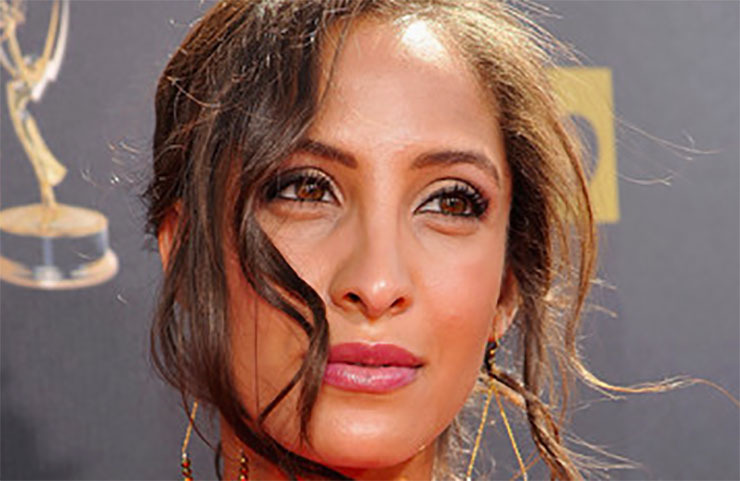 “The Young and the Restless” star Christel Khalil took to social media to offer a succinct, powerful example of some ways the concept immigration ties into her own life. The actor did so as protests erupted around the country in the wake of an executive order by President Donald Trump on the subject. Khalil (Lily Ashby) posted to Instagram a photo of her and two friends laughing with joyous abandon. The caption notes that they are all descended from immigrants. Scroll down to see the lovely shot. She also took the opportunity to speak out in a hashtag, as is common these days, against Trump’s proposed border wall with Mexico. Khalil’s father is from Pakistan. That country is one of the majority Muslim countries that happened to escape Donald Trump’s executive order banning immigration from it, even by refugees. Like many United States citizens, Khalil’s ancestry has roots all over the world. Her heritage is also part Cherokee Native American, African American, and mixed European. President Trump Friday issued an executive order that bans immigration from certain countries for 90 days and all refugees from anywhere for 120 days. A federal judge issued a stay of the order as it related to people already en route to the U.S. or who hold valid visas. Protesters took to streets and airports across the country to voice their opposition to the order. The American Civil Liberties Union sprung into action to litigate on behalf of immigrants being detained or deported as a result of the ban.